Macquarie Telecom Group’s (ASX:MAQ) Government business has named former Anchor Hosting CEO, Bart Thomas, as its new general manager for Government Cloud. Thomas had headed up Anchor Cloud Hosting – an Amazon Web Services (AWS) partner – since early 2014, while previously holding roles in technology management groups of Federal Government agencies, and in the private sector both in Australia and the UK. “The chance to join Macquarie Government represents an opportunity too good to refuse,” Thomas said. “The combination of attributes that Macquarie Government has pulled together in its business is completely unique in the government cloud market, and is incredibly exciting. “I am well aware of Macquarie Government’s great reputation from my years in the cloud business, and look forward to helping continue its impressive performance in the Government." The move sees Thomas return to the telco, for which he worked between 2011 and 2013 as a technical pre-sales lead, prior to his appointment as head of sales and marketing for Anchor Managed Hosting. Thomas’ appointment comes less than two months after Macquarie Telecom Group revealed it was on the hunt for more government work, wanted to expand its operations in the nation’s capital and was looking to cough up an additional $4.6 million in expenditure to help drive the expansion. The publicly-listed telecommunications company, which released its annual financial report on 31 August, told shareholders at the time that, despite already “leveraging” 42 per cent of the Federal Government that have contracted with its Macquarie Government division, it is looking for further growth in the lucrative sector. “We will further grow our government customer revenue in cyber security and secure cloud computing,” the company said in a statement at the time. “Our cloud computing offering is certified by the Australian Signals Directorate. “Strong and growing demand from our Federal Government agencies for secure cloud, including from Tier 1 agencies like ATO, gives great confidence for future growth in the government business. “Accordingly, there will be further investment in expansion in Canberra and our cloud platform, with an increase in OPEX [operational expenditure] of around $3 million and CAPEX [capital expenditure] by $1.6 million across FY18,” the company said. 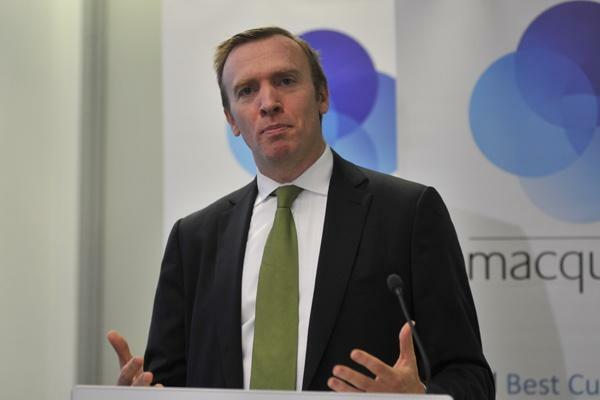 According to Macquarie Government managing director, Aidan Tudehope, Thomas’ appointment fills a key role in the company’s “big investment program” it announced in August to build its government cloud business. The announcement comes on the heels of the company’s recent Australian Signals Directorate (ASD) accreditation for PROTECTED cloud services.